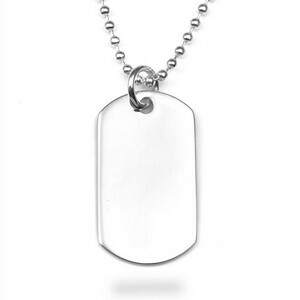 This sterling silver dog tag works well for both men or women due to its size. It can be engraved with your choice of message, monogram, or symbol. Chain options available once you add item to cart.